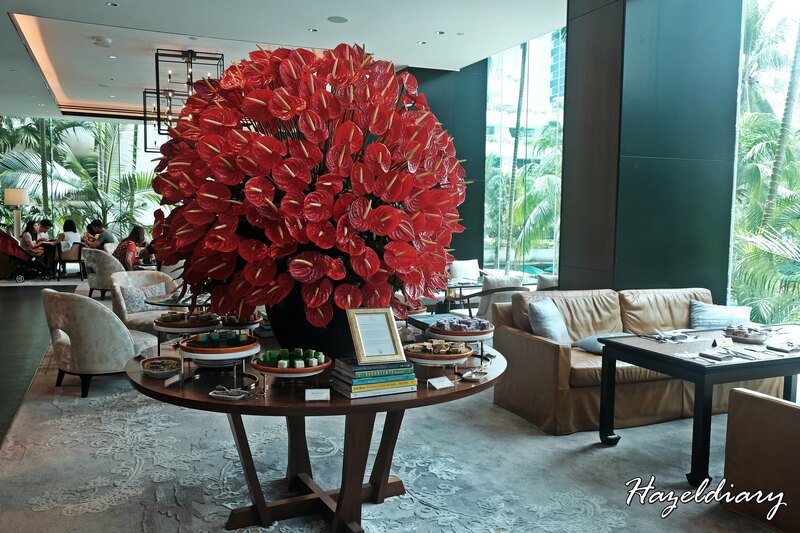 The Lobby Lounge at Shangri-La Hotel Singapore is offering local hawker dishes in semi-buffet lunch concept since late last year. It was my first time checking out Lobby Lounge over the weekend. 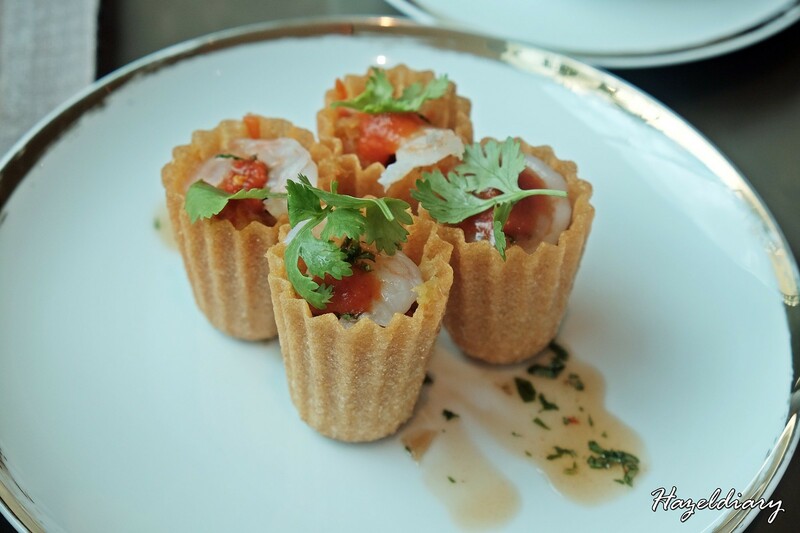 My first time in Shangri-La Hotel Singapore was at Nami Restaurant & Bar. 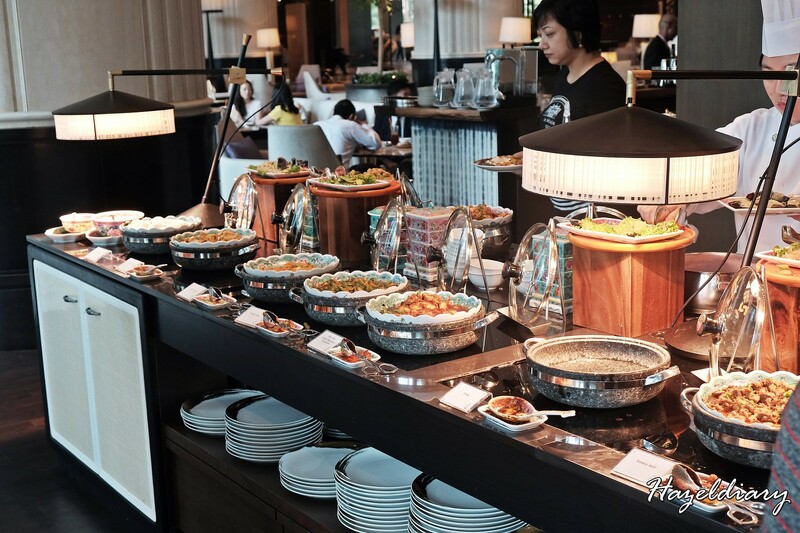 Shangri-La Hotel Singapore collaborated with renowned hawker stalls in Singapore to showcase the local cuisine and a series of Heritage Weekend Pop-ups. 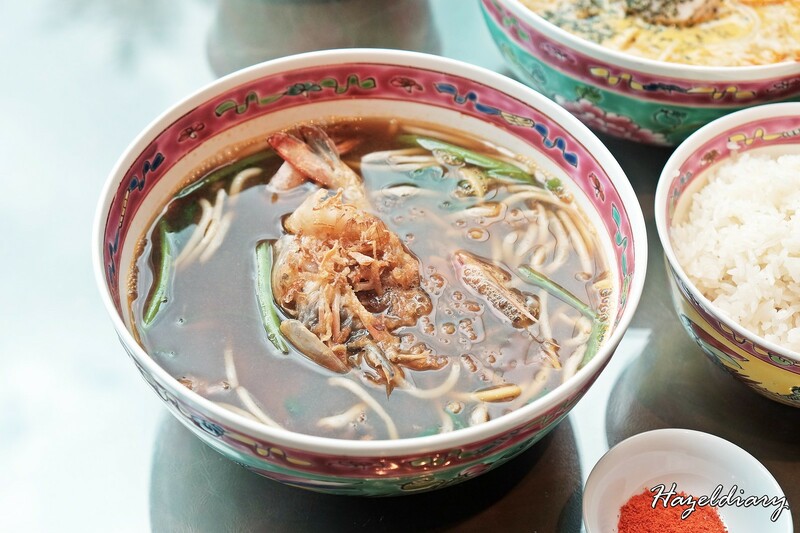 Total of 7 legendary hawker dishes are featured including Bak Kut Teh (Legendary Bak Kut The), Bak Chor Mee with Fish Maw Soup by Seng Kee Mushroom Minced Meat Noodle, Hainanese Chicken Rice by Shangri-La Hotel, Katong Laksa (The Original Katong Laksa (Janggut)), Prawn Noodle Soup by Beach Road Prawn Mee, Chilli Crab and Mantou ( Dragon Phoenix) and Beef Rendang (Rumah Makan Minang). 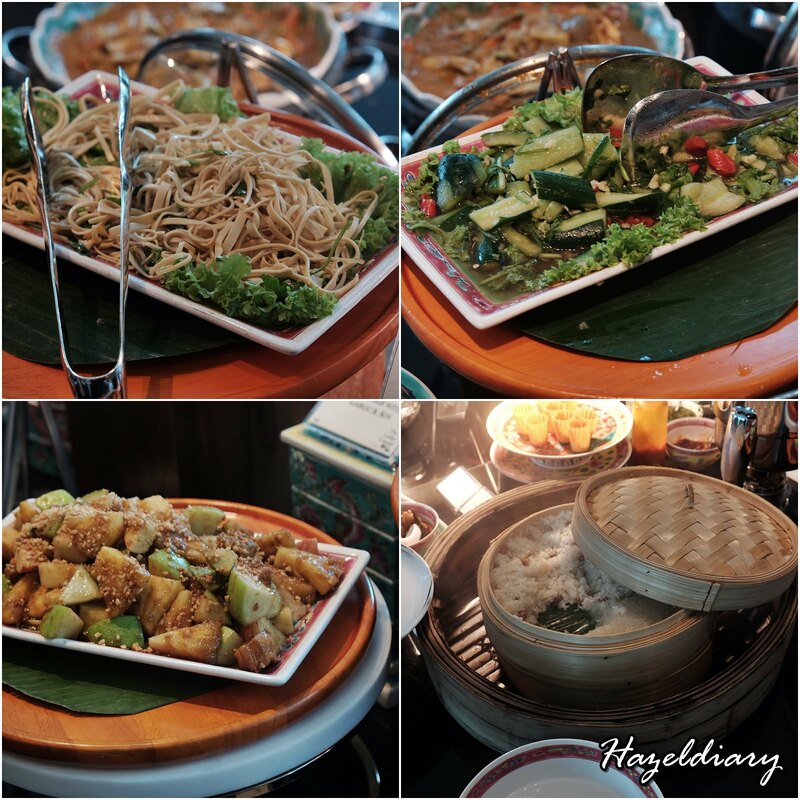 Choose one of the mains from the followings items and enjoy the spread from the buffet line. 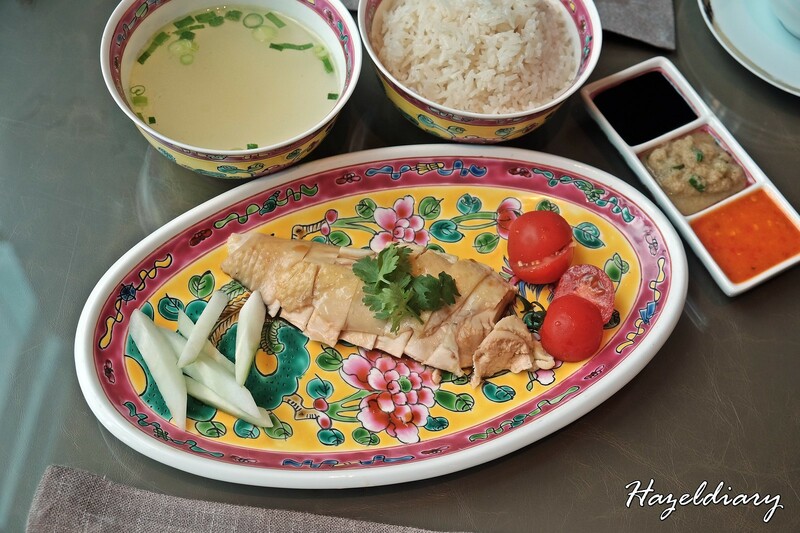 Each main are served with delicate and appealing presentation that will definitely whet your appetite. 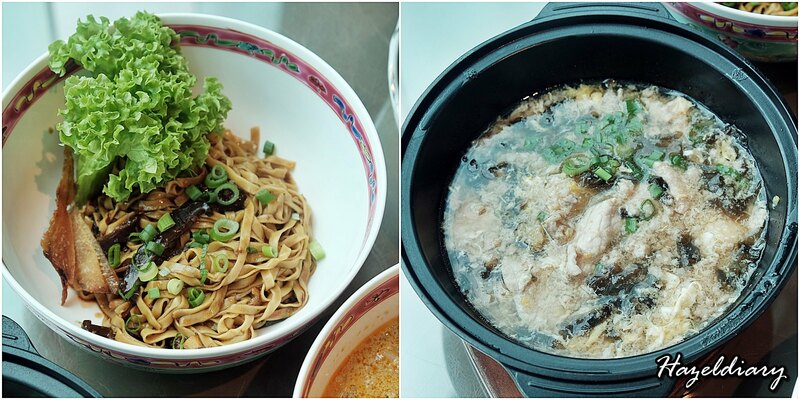 Bak Chor Mee by Seng Kee Mushrom Minced Meat Noodle is one of my favourite served with premium fish maw soup in a heated claypot. The ingredients include minced pork, egg, seaweed, stewed mushroom slices and pork slices. It was simply comforting. 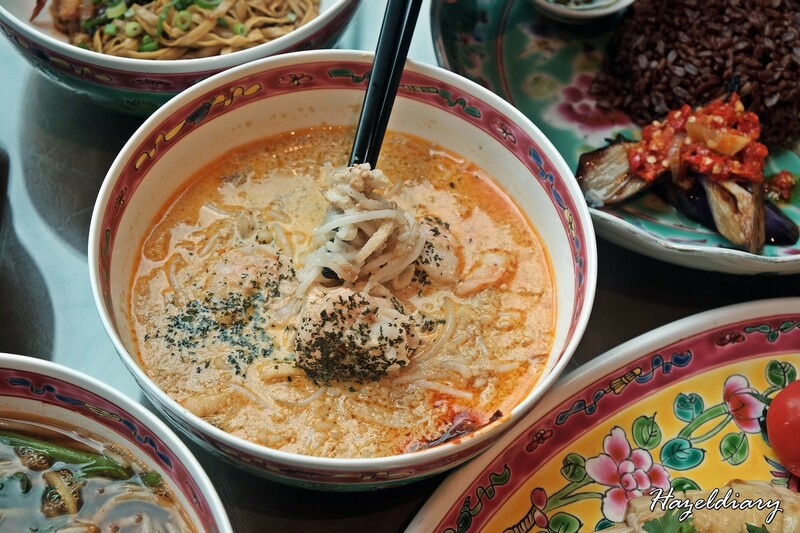 The Katong Laksa, which is Singapore signature dish served in a distinctive coconut milk-based noodle soup. The broth is rich and I personally think tasted better than the usual Katong Laksa I tried. 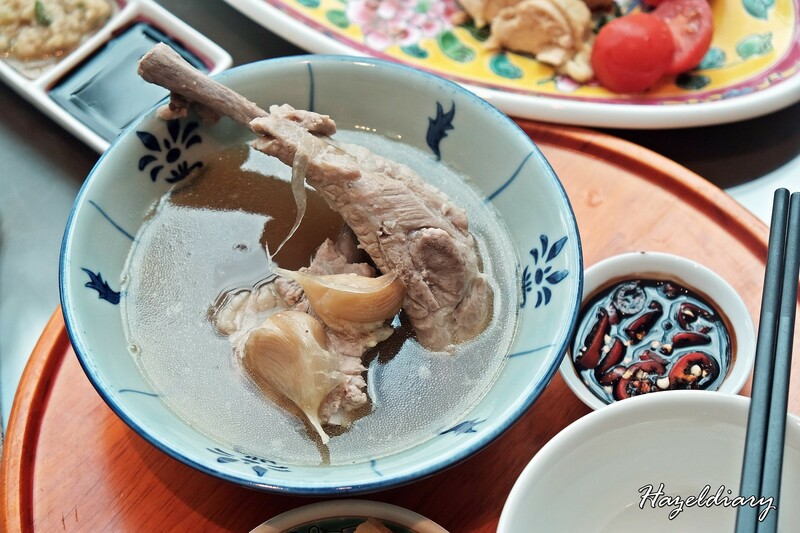 And peppery Bak Kut Teh which is a perfect to showcase so that hotel guests get to have a taste of Singapore local delights. 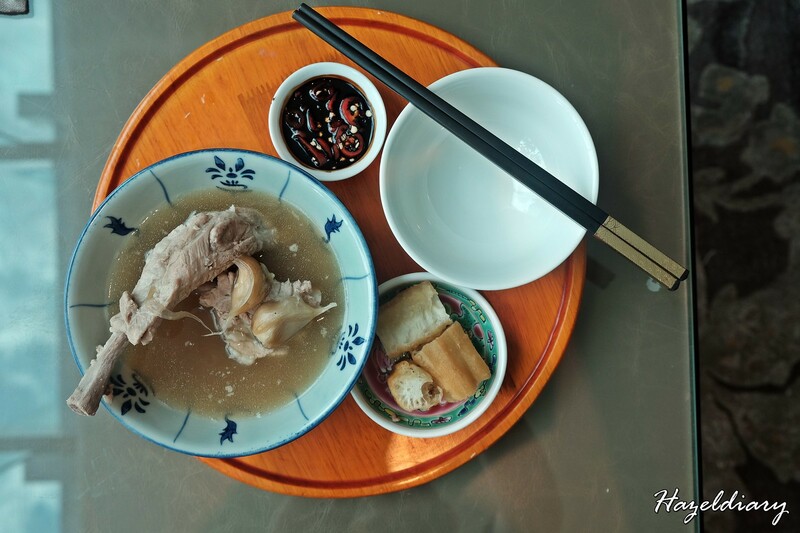 The bak kut te h uses fresh Indonesian pork and Sarawak peppercorn comes with crispy you tiao and a bowl of rice. If you are a frequent Minang customer, expect an improvised version of Beef Rendang for this collaboration. 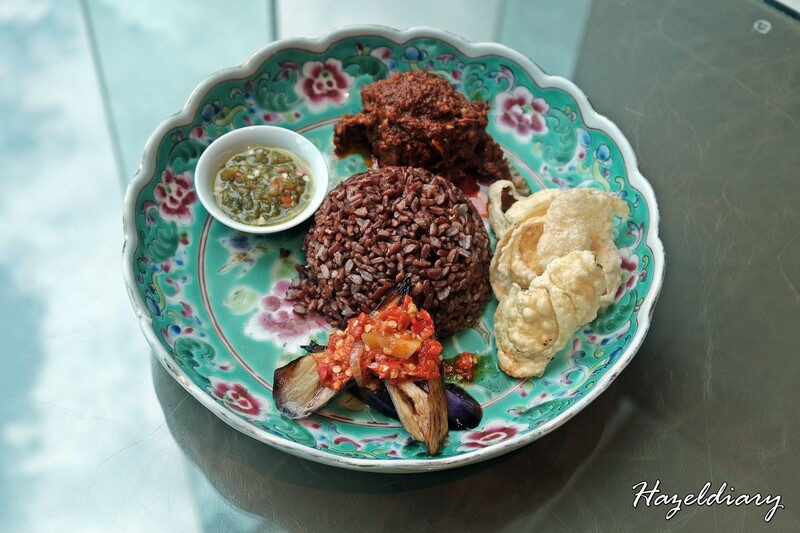 Instead of the usually white rice, it comes with grainy brown rice, grilled brinjal with diced chilli and beef rending. 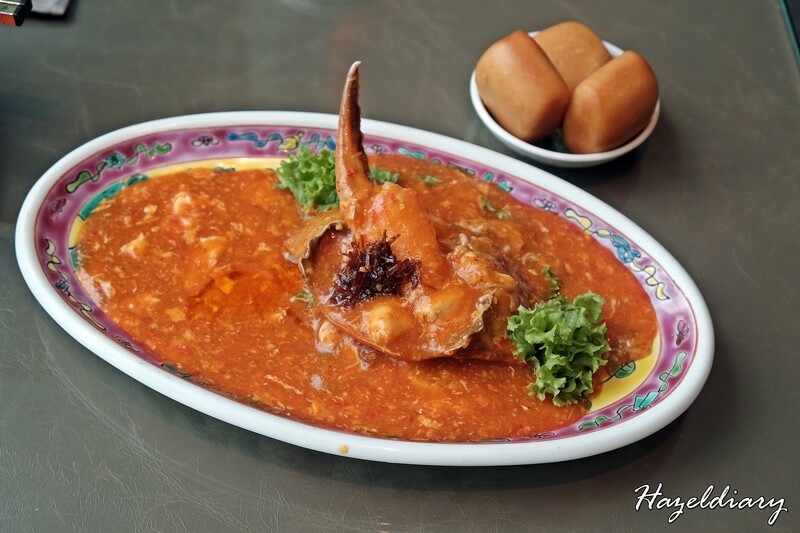 Chilli Crab and Mantou is also one of the favourite among the locals and tourists. Thus, having this in the menu is a perfect choice. The best part having it here is that it is neatly shelled and you will not get your hands dirty! And of course the prawn noodle soup that I thought it would taste better with stronger broth flavour. I would highly recommend their kueh pie tee. It is available at the live station and the Chef will prepare upon request. And do not miss out their dessert station. 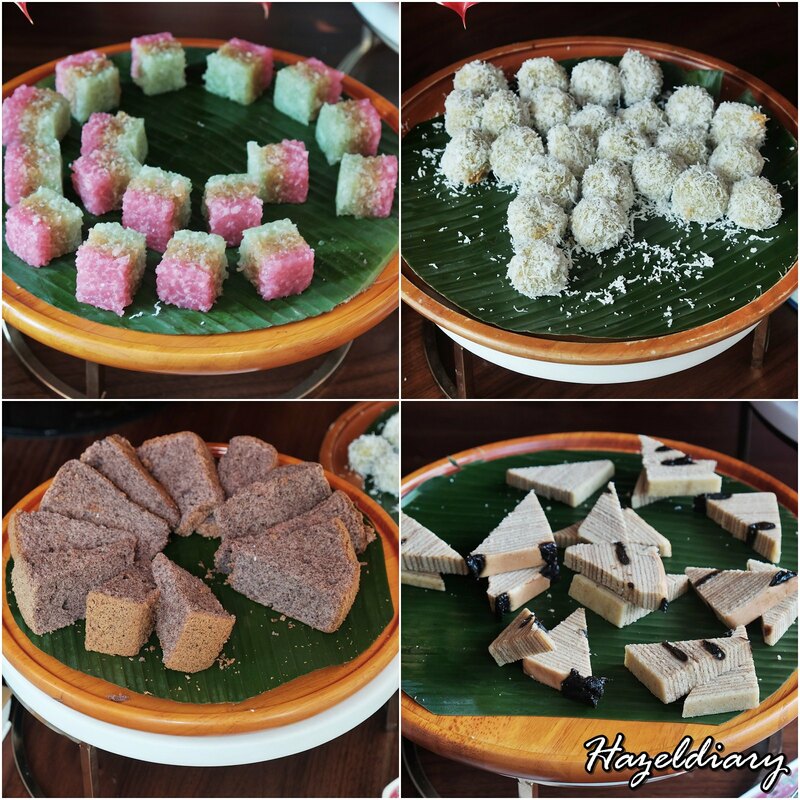 Be prepared to be spoilt with nyonya kuehs choices. Each time I look up from my dining place, there are new kuehs brought out from the kitchen. Oh boy! Remember to save your stomach for the desserts. And diners get to a choice of a drink from the semi-buffet lunch. 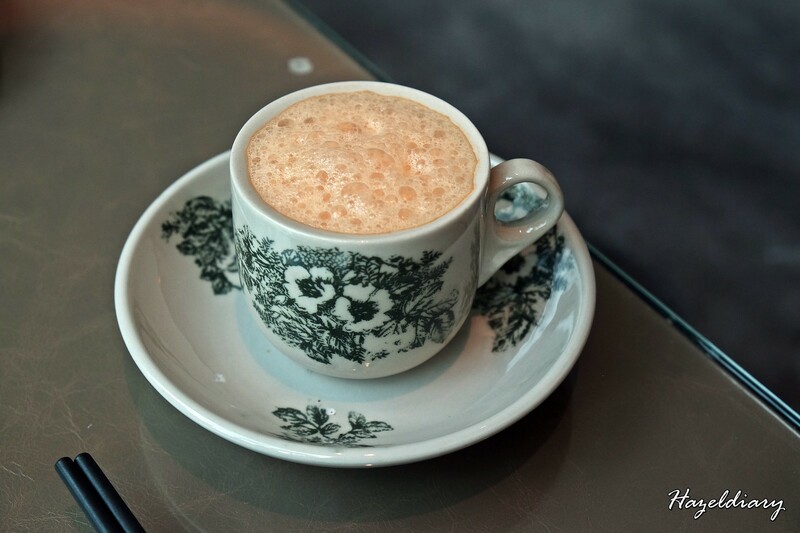 I was recommended to try Kopi Tarik S$8.000++ . It is quite legit taste of local fare I would say. As a whole, the buffet selection is not that extensive in terms of varieties. 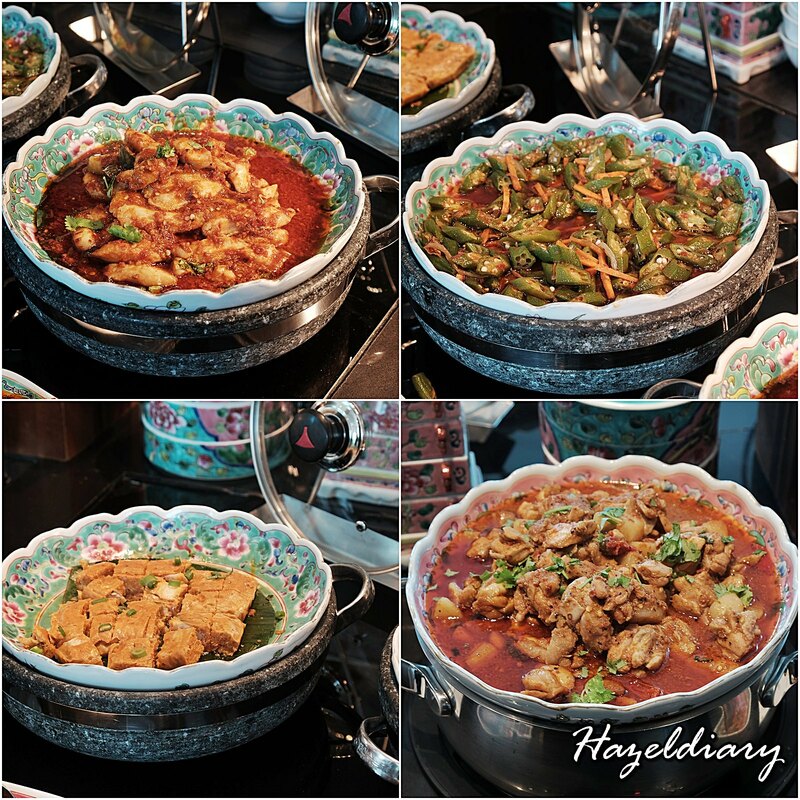 However, their mains and some of the dishes on the buffet line are indeed delicate. 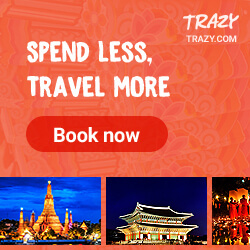 It is worth the quality with a nice dining ambience. Diners are able to enjoy live music played by the pianist. We even requested for songs and he did play it for us. It was a wonderful Saturday evening. It’s all depends on individual preference as some may think that I could get these from the local hawker fares.